Make your coffee taste like Christmas! Christmas only comes once a year. Why not make your favorite coffee special? There are several ways to do this. You can purchase a small bag of flavored coffee either ground or whole bean so you can start out with it already flavored. Flavors are infused right into the beans when they are roasted. Many companies make assortments your purchase either for yourself or for gift-giving. Dinkin has Sugar Cookie Coffee, Snickerdoodle Cookie Coffee, and Peppermint Mocha Coffee. Starbucks carries Caramel Brulee Latte, Peppermint Mocha, and Toasted White Chocolate Mocha. You can purchase Peppermint Mocha or Holiday Blend from Starbucks at your grocery store. There are tons of Christmas flavors around Christmas. International Delight has Pumpkin Pie Spice, Frosted Sugar Cookie, Peppermint Mocha, and Oreo for the holidays. Coffee-mate has Peppermint Mocha, Pumpkin Spice, and Butter Toffee for the holidays. Their Natural Bliss line also has Dark Chocolate Peppermint and Maple flavored Almond Milk. Amoretti makes many flavors of syrups to add to coffee. They have a couple 3 packs. One includes 3 types of Pumpkin Pie; another has Eggnog, Peppermint, and Gingerbread. These can also be added iced tea, on ice cream, in desserts, in milkshakes or smoothies, frostings, glazes, and the list goes on. They also make sugar free syrups. Torani carries Peppermint syrup, Italian Eggnog, Gingerbread, and a lot of other flavors. Why not make your own? Crush up your own spices: cloves, cinnamon sticks, allspice berries, even peppercorns. You can buy pumpkin spice in the grocery store and add it yourself. You can try candy flavoring oils as well. You would only need a drop or two. Try orange rind and cocoa. You probably have many of these on hand already. Be creative. I’ve seen them before but know nothing about them. I’ve even seen my grandmother use them to make espresso for grandpa with one. They are usually stovetop or electric coffee makers. It works by passing pressurized steam through ground coffee. It was invented by Bialetti. Water is placed in the bottom and heated up. It makes steam and forces it up through a strainer into the grounds and back down into the water. Made of aluminum it isn’t dishwasher safe. It is a classic design since it’s been around since 1933. 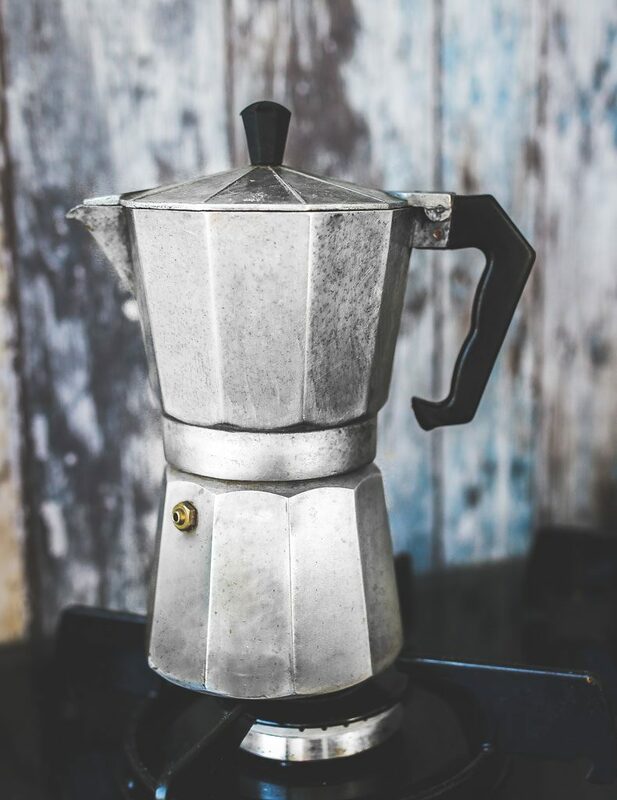 It won’t make coffee as well as a high-end espresso maker but if you want a stronger coffee, you can just use a Moka Pot. This pot will make the espresso stronger than you are used to having.